Savvy Spending: National Frozen Yogurt Day deals on 2/6! 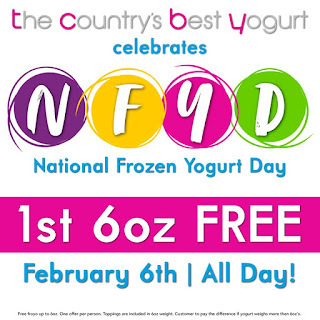 National Frozen Yogurt Day deals on 2/6! 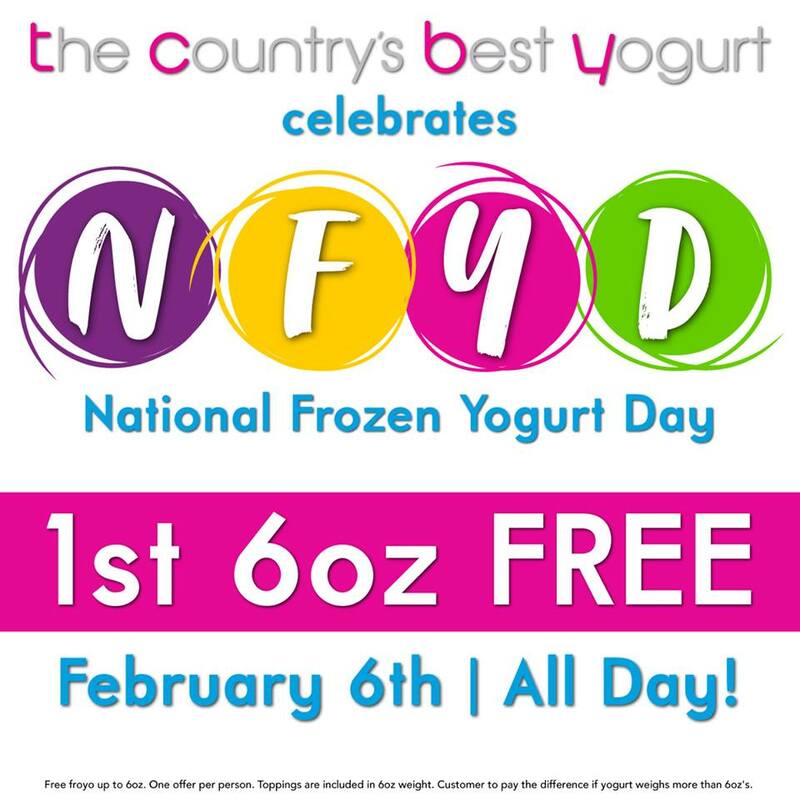 National Frozen Yogurt Day is 2/6! Here are some great deals you can enjoy! TCBY: FREE 6oz frozen yogurt, including toppings! Limit one per person, all day on 2/6! Yogurtland: Visit on 2/6 between 2PM – 7PM for a Buy One Frozen Yogurt, Get One FREE deal!